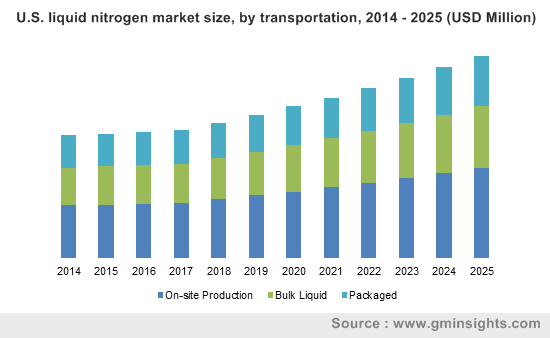 Oil & Gas « Global Market Insights, Inc. In the face of digital revolution, the global powder coatings market is unsurprisingly making an effort to keep up with the drastic changes being brought in by Industry 4.0 on a number of fronts. This includes incorporating better material handling techniques, automation controls linking machines together, allowing for better management of powder coating while spraying, and the launch of new products equipped with precision technologies. An exceptional instance of technological advancement pushing the limits of product development is of the new Encore manual powder coating spray gun range introduced by Nordson Industrial Coating Systems. Named Encore nLighten LED Kit, the new product illuminates the surface being coated, for easy inspection and precise powder application. An all-in-one inspection and application tool, the new spray leaves no margin for error and reduces the need for post-coating quality checks. Speaking along similar lines, technological progression has resulted in excellent performance upgradation of numerous products being launched by leading powder coating manufacturers. AkzoNobel, for instance, has recently introduced a highly durable and sustainable range of coatings Collection Futura 2018-2021 under its Interpon powder coatings brand. Updated every four years, the new product range is created on globally-identified shifts for 2018-2021: Glam City, Time Out, Treasured Light and Wild Nature, essentially representing the environmentally viable products being developed by the foremost powder coatings industry players with the integration of technologically superior components. 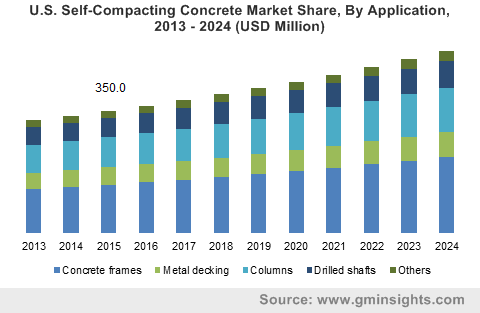 Significance of the Asia Pacific region and the changing growth narrative: Why are major powder coatings market players building a robust presence in India and China? Owing to the recent economic trends and the growing dominance of Asian politics, the 21st century is being increasingly projected as the Asian century. Apparently, India and China are termed as the growth engines of the Asian continent as their economy is based on strong fundamentals. Moreover, the estimates recently published by the World Bank corroborate the fact that these two Asian powerhouses are bound to perform well on the economic front in the years ahead despite temporary setbacks. 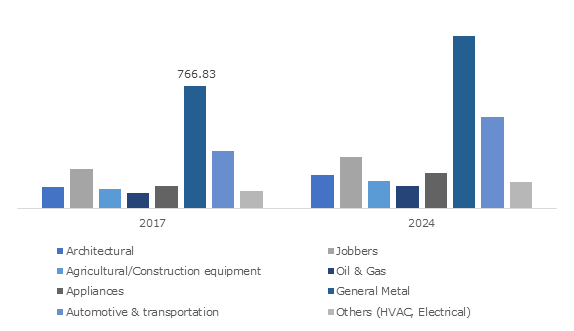 In this context, it is quite prudent to mention here that business verticals such as automotive & transportation components, electrical appliances, agricultural & construction equipment, and oil & gas are among the many significant industry sectors that contribute immensely toward the growth of Indian and Chinese economies. As per the recent trends, these sectors are set to register impressive growth figures in the times to come. Notably, these business verticals are also the major applications/end-users of the global powder coatings industry, which explains the resolve of prominent manufacturers to establish a strong base in India and China. In a bid to strengthen its manufacturing footprint and complement its existing production facilities in India, this Dutch paints and performance coatings giant recently inaugurated a new €9 million powder coating facility in Thane, Mumbai. Dedicated to manufacturing bonded metallic and functional powder coatings, the new facility is set to boost AkzoNobel’s access to markets located in western and northern parts of India. After opening an €11 million powder coatings facility in western China, AkzoNobel commenced production at its recently built largest powder coatings plant in Changzhou. To assure the plant’s sustainable operation, the company would enable 100% recycling of waste water and zero emission. In addition to this, the new facility would become one of the few metal powder coatings manufacturing plant of the company in China. After setting up a high-grade technology center at Savli, Gujarat in 2016, this U.S.-based powder coating firm has recently built a new manufacturing facility at the same location. Over the past few years, Axalta has been gradually consolidating its presence in India with the help of massive investments and refurbishment of its training centers to deliver comprehensive coating solutions for the burgeoning automotive market and other industry sectors of the nation. In 2016, this French specialty chemicals and advanced materials firm announced that it would construct a new polyester powder coating resin production facility in Navi Mumbai, India – the first of its kind in the country. Representing an investment of about $US 15 million, the new facility would also include a dedicated laboratory to provide technical support and application development to the rapidly expanding powder coatings industry in India. Being built on its existing resin platform, the new facility would manufacture a low-VOC coating resins portfolio. Considering the long-term implications of the aforementioned expansion bids by some of the prominent powder coating manufacturers, the Asia Pacific region, especially developing economies like India and China, are certain to fuel the growth prospects of powder coatings market. In fact, as per a research report of Global Market Insights, Inc., the Asia Pacific terrain recorded more than 40% of the total revenue share of the overall powder coatings industry in 2017 and is slated to maintain the growth momentum in the years ahead. This entry was posted in Bulk & Specialty Chemicals and tagged Agriculture Equipment, Appliances, Architectural, Automotive & Transportation Components, Construction equipment, Europe Powder Coatings Market, Fusion Bonded Epoxy, General Metal, Global Powder Coatings Market, Jobbers, Metallic, Non Metallic, Oil & Gas, Powder Coating Manufacturers, Powder Coating Market Revenue, Powder Coatings Market, Powder Coatings Market Size, Resin, Substrate, Thermoplastic, Thermoset, World Powder Coating Market. 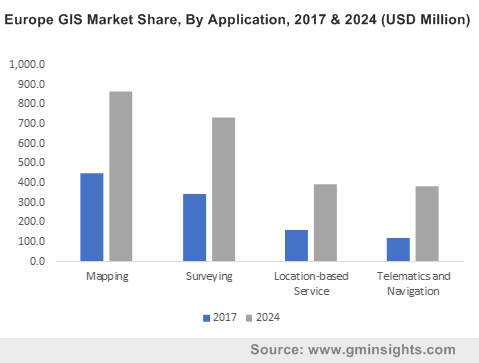 A slew of advancements in geospatial technology has been instrumental in adding impetus to aerial imaging market lately, to such as extent that government organizations to commercial businesses, have now found ways to utilize the technology to their own advantage. Hurricane Harvey is one of the most iconic examples that demonstrates the progress of aerial imaging industry. The prompt intervention of EagleView Technologies had then restored some relief to the hurricane affected victims, while simultaneously increasing the popularity of aerial imaging. Elaborating further, when Harvey flooded Texas and Louisiana with 27 trillion gallons of water in 2017, it turned out to be one of the most devastating natural disasters in the US history. Besides, it also happened to be one of the most expensive catastrophes which cost approximately $190 billion. Amidst a scenario where thousands of people were displaced from their homes and thousands of others did not know if they had any home left to go back to, the Henrietta based aerial imaging company EagleView Technologies presented a possible means of relief to the victims of the destruction Harvey left in its wake. The company launched a website that depicted aerial views of the streets ravaged by the hurricane. Users could enter a street name and view before and after images to access the extent of damage. EagleView Technologies has so far collected almost 350 million images of over 90% of the most populated areas of the U.S. on behalf of clients which comprise local and state governments as well as insurance companies, that may benefit the hurricane victims. However, aerial imaging industry is not limited to amassing millions of pictures alone. The vertical is now focusing on collecting images and teaching machines to look at images and generate a report if something of crucial importance is being reflected in those images. For instance, when an electric utility company requires aerial imaging, they do not just want thousands of images of power lines, what they want is to discern which poles are damaged or have broken conductors and need to be repaired. Machine learning facilitates this process by analyzing each image and producing a report for the repair crew with the location of the problem spots. Information collecting companies that are mainstream end-users of aerial imaging market are heavily dependent on this technology to access damage of personal and public property after natural catastrophes. Since it is not possible to send out claim adjustors to every place right after the disaster despite the crucial importance to assess damages as quickly as possible, aerial imaging market has received a considerable boost from the insurance industry. 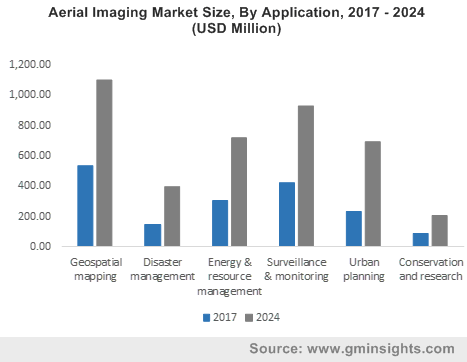 As such implications clearly point out, disaster survey and management is expected to become one of the most lucrative growth avenues for the aerial imaging industry. In fact, aerial imaging market size from disaster management is expected to register a CAGR of 16% over 2018-2024. Most governments have regulations dictating the pilot of an aerial imaging vehicle to be in the visible range of the vehicle. But as climate change has increased the incidence of natural disasters, such restrictions are being slowly lifted. Advancement of technology is also ensuring that human pilots can be replaced with self-flying drones. This not only decreases the chance of harming human life while they are out in disaster zones but also helps in better assessment as machines can be taught to fly straight and maintain constant altitude. The advent of advanced technology will thus play a pivotal role in aerial imaging market expansion. Recently Airbus Aerial and DroneBase announced a partnership that will deliver a multi-source data service solution for aerial imaging from a single provider. Such an initiative will enable companies to use a single service provider for all their data and imagery insights. With an international leader and pioneer in aerospace industry like Airbus and DroneBase which has 100,000 commercial missions flown in over 70 countries making a significant investment, other investors are also expected to join in the battle. 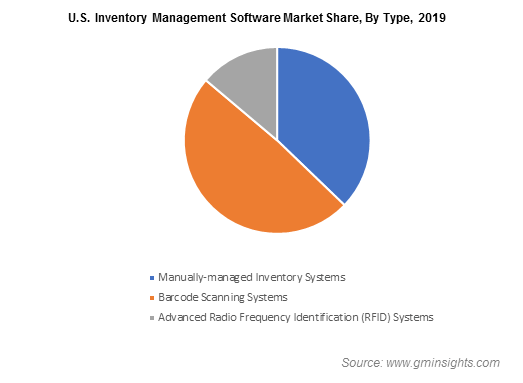 As the contributions by prominent contenders strengthens the case for this vertical, aerial imaging industry size is expected to cross USD 4 billion by 2024. This entry was posted in Electronics and Media and tagged Aerial Imaging Industry, Aerial Imaging Market, Aerial Imaging Market Size, Agriculture, Archaeology, Civil Engineering, Conservation, Defense, Disaster Management, Drone, ENERGY, Energy Management, Fixed-wing Aircraft, Forestry, Geospatial Mapping, Global Aerial Imaging Market, Government, Helicopter, Military, Monitoring, Oblique Imaging, Oil & Gas, Research, Resource Management, Surveillance, UAV, Urban Planning, Vertical Imaging.